I installed one of the leading wordpress cache plugins and it trashed EVERTHING!!!! I’m re-building as we speak! EDIT: I’ve got all the pages back up. Still working on getting the blogposts and your comments back up. EDIT: Okay I managed to retrieve a majority of your comments too. I looking for my blogs right now…. 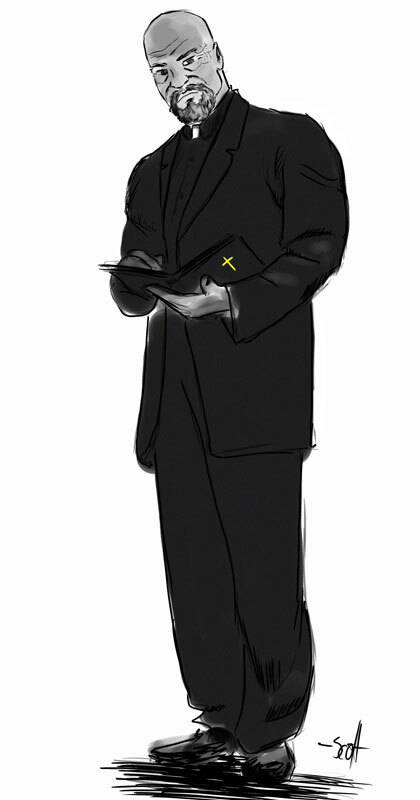 So… who is Father Lawrence? Lawrence has been mentioned a couple times during the Heroes inc story. Always when talking about bad things that happened. So what happened? What were the bad things? Sorry, can’t say more than that. 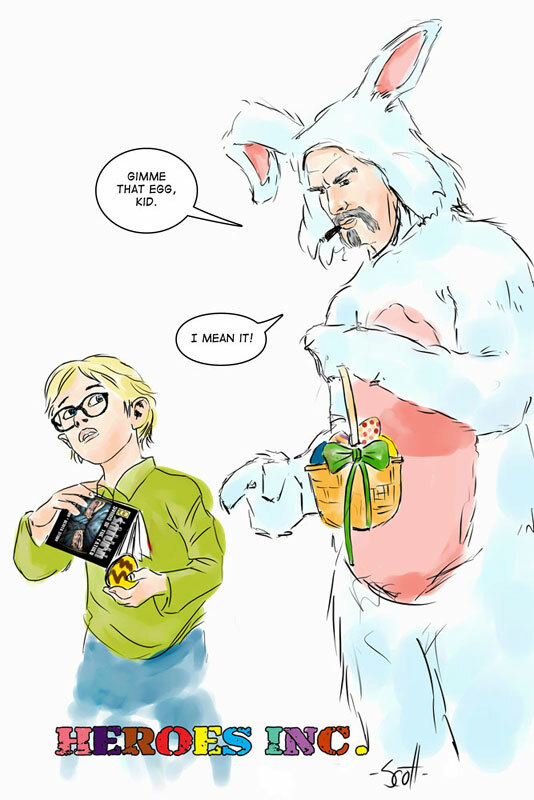 The WebComicPlanet Collective is having an Easter egg hunt! !In the pages of the archives of each member of the WebcomicPlanet Collective is an easter egg hidden. It’s either in the blogs or among the actual pages of the comic. The winner is the one who finds either ALL or THE MOST easter eggs. The winner will receive a personal drawing from the artist of their choice from the Collective OR can be included in the pages of one of the webcomics.